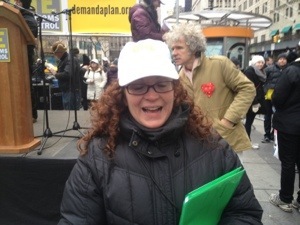 Notice that behind the brilliant activist, blogger, and actress (and our friend) Christine Siracusa is musician Dan Zanes, one of my kids’ faves. 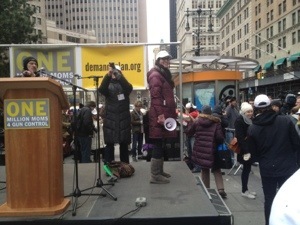 Christine hosted and Zanes entertained at the million moms’ rally. Moms were using technology to get the word out. We will protect our kids. We believe in keeping our kids safe. 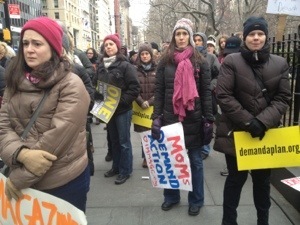 Such cute kids joining in the rally with a million moms for gun control. 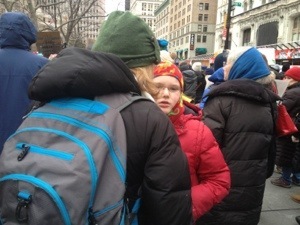 Sure it was was cold, but there was no shortage of body heat and adorable kids wearing adorable hats. 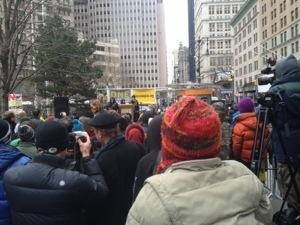 Today to celebrate Martin Luther King Jr. Day and Inauguration Day, I joined hundreds (thousands?) 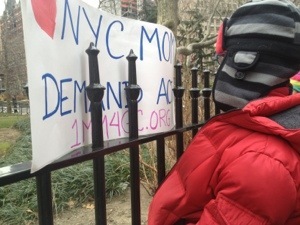 of moms at City Hall Park to support the policies to keep our kids safe from gun violence. 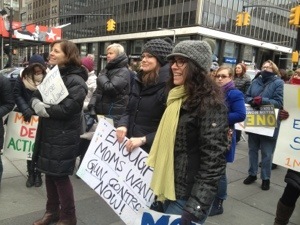 at least one million moms for gun control. Read the words of founder Shannon Watts. 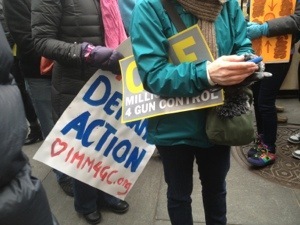 learn more and join the movement at One million moms for gun control.